1. Do Maintenance Services Need Online Presence? It means that you need to make titanic effort to launch a user-friendly, attractive website. However, you can simplify this process by choosing one of premium WordPress themes enhanced with all the necessary options and tools. Do Maintenance Services Need Online Presence? Last year nearly 50% of the world’s population accessed the web. If your maintenance service is not presented online, you can lose your customers daily. According to Baymard Institute research, 95% of web users rely on different reviews and feedback. You won website can serve as a trustworthy platform for building powerful brand awareness. Thanks to various feedback systems, testimonials tools, you can give your customers an opportunity to know more about your service from your satisfied clients. The number of mobile users worldwide is significantly increasing year by year. This year about 4 billion users visit different websites from their mobile phones. Or this reason, take advantage of fully responsive maintenance WordPress themes providing your website with a perfect imagery on any modern device. Welcome to one of the most attractive, functional, and technologically sophisticated WordPress themes packaged with a mobile-friendly design and a rich package of truly remarkable plugins. 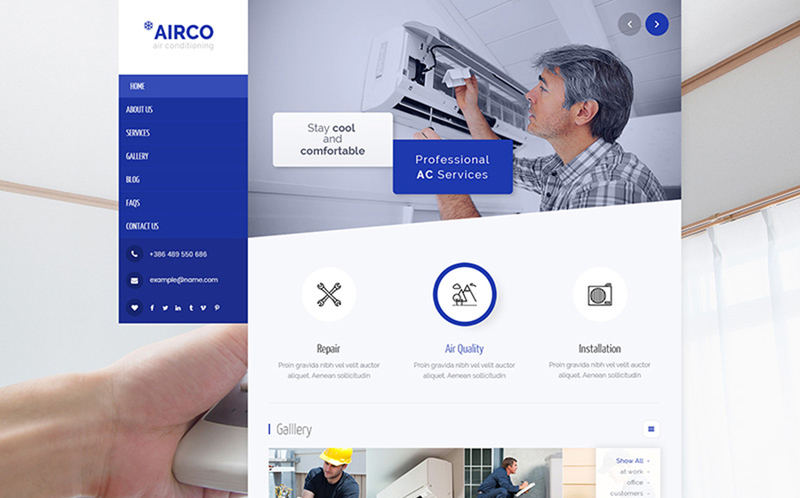 For less than $100, you have a great opportunity to run a powerful, multilingual, feature-rich, polished website for your air conditioning and heating company. The theme has all the needed options to showcase your company’s activity in a favorable manner (Revolution slider, gallery). Mechi will serve as an excellent fully-fledged platform for crafting fast-loading web pages with meaningful and well-organized content. 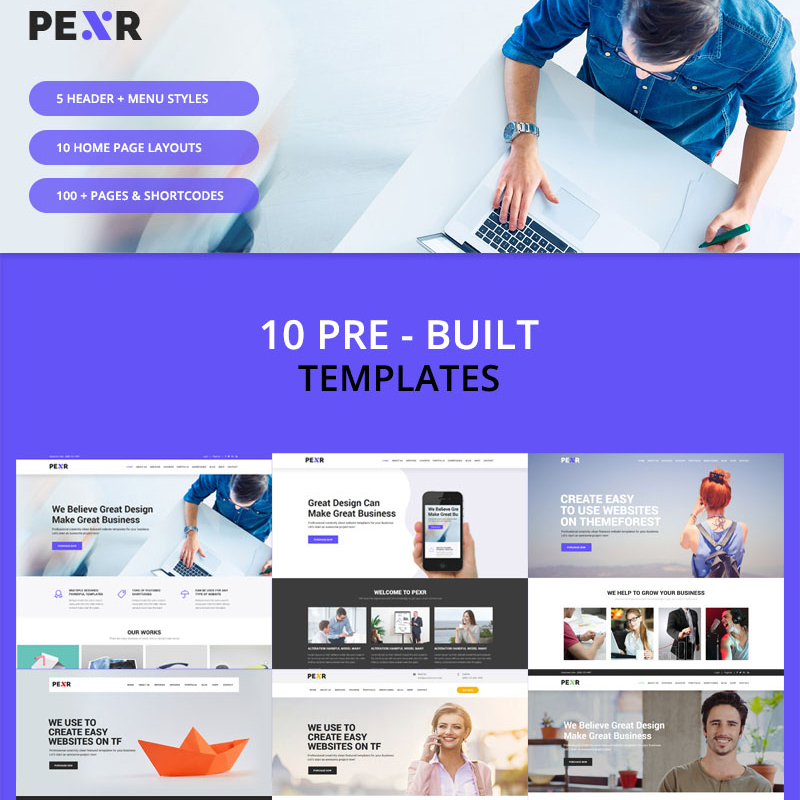 Bundled with flexible WP Page builder allows you to create a page of any complexity without effort. In addition to standard stunning plugins, the template is equipped with a rich set of addons for all occasions to enhance your site’s functionality. 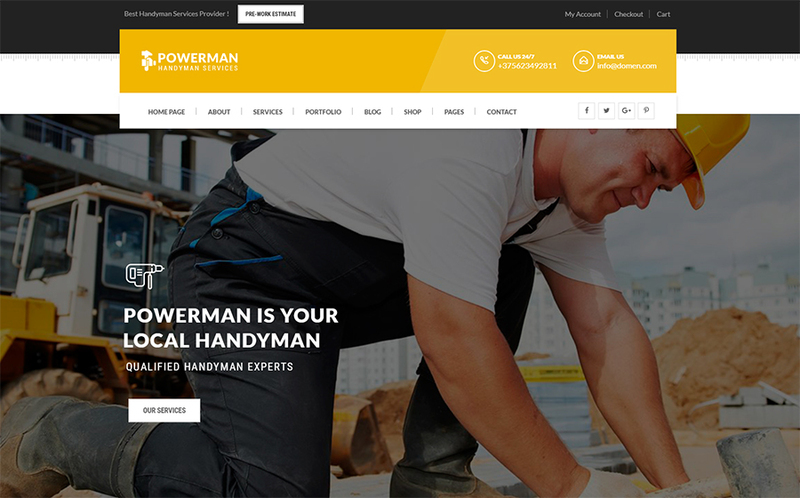 Powerman is a stylish, modern, and tech-savvy theme with tons of options and tools to set up a fully-fledged handyman service on the web. The theme includes a convenient menu, user-friendly cart options, and absolutely responsive design. Take benefits of enhanced heading and footer styles providing your customers with a smooth navigation. With multipurpose Monger, you can set up an outstanding, reliable business website of any type. The template features a number of easy-to-change elements like web font, icon, and color. As it comes with 16+ header and 10+ footer layouts, you can transform this clean and simple theme into the website of your dreams without effort. 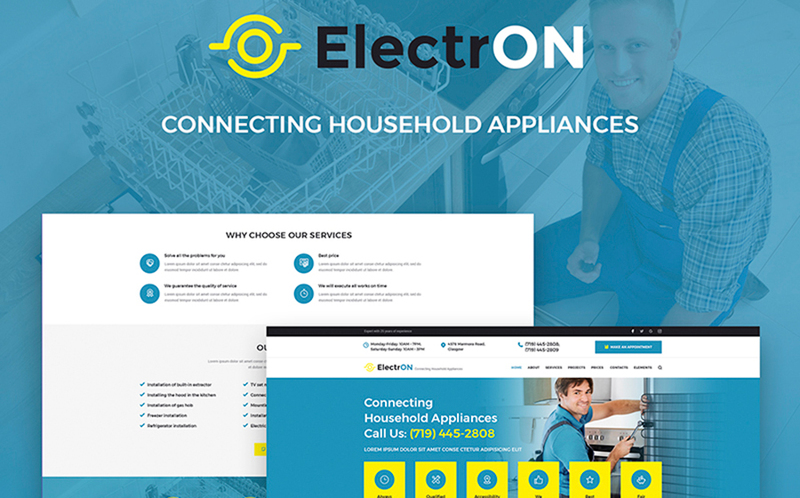 ElectrON is a trustworthy, attention grabbing and technologically sophisticated theme with advanced customization possibilities. It is stuffed with exciting blog layouts, Arrange Appointment tool, various showcase services, and loads of usable plugins letting you master your online project. Clean-n-Go was designed by a team of experienced webmasters in accordance with the freshest web requirements. The template is easy to customize up to your preferences even without special web knowledge. The template can be installed and adapted in a few clicks, so setting up a business website will not be time-consuming. 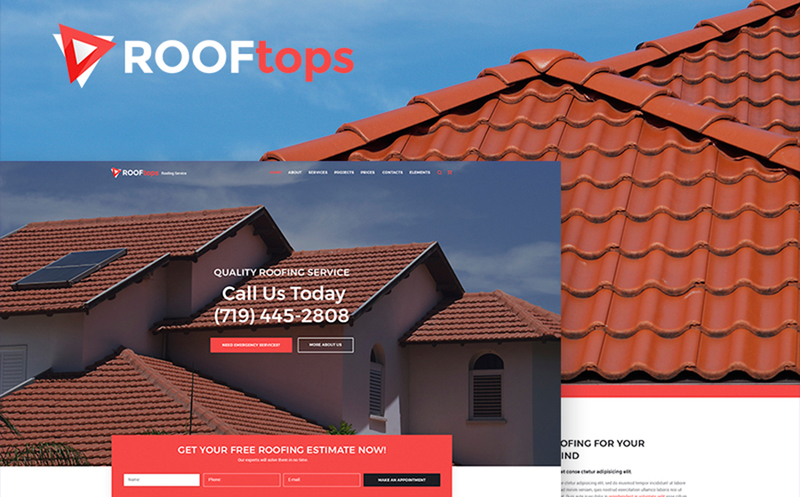 With elegant and modern ROOFtops, you won’t feel boundaries when building your dream website. 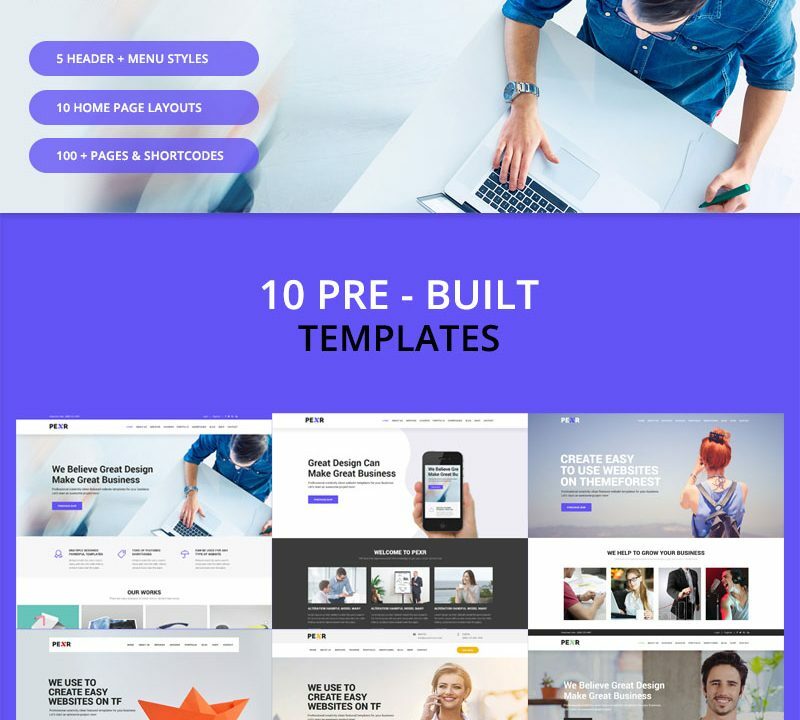 This is one of the best roofing WordPress themes boasting loads of basic tools, an extensive set of premium plugins, and tons of additional features allowing you to enrich your website’s functionality and performance. Take advantage of fast-loading pages, which will easily help you reach to the first positions of SERPs. 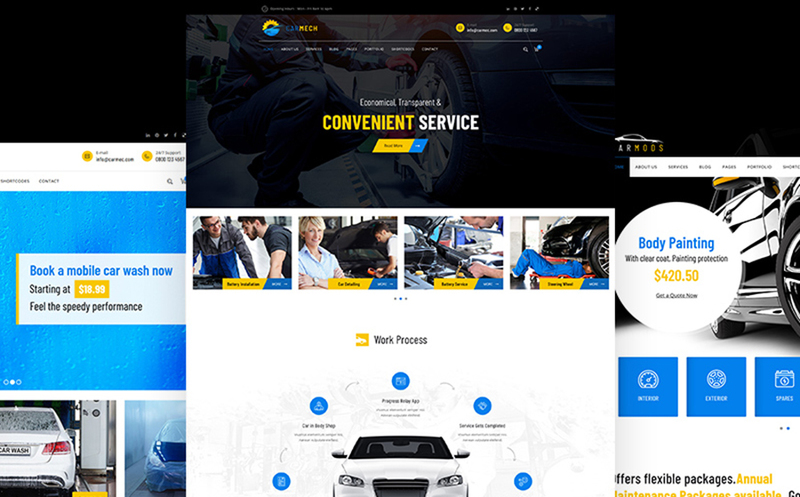 Whichever maintenance company you want to create, this multiuse, smartly organized template will suit your needs. 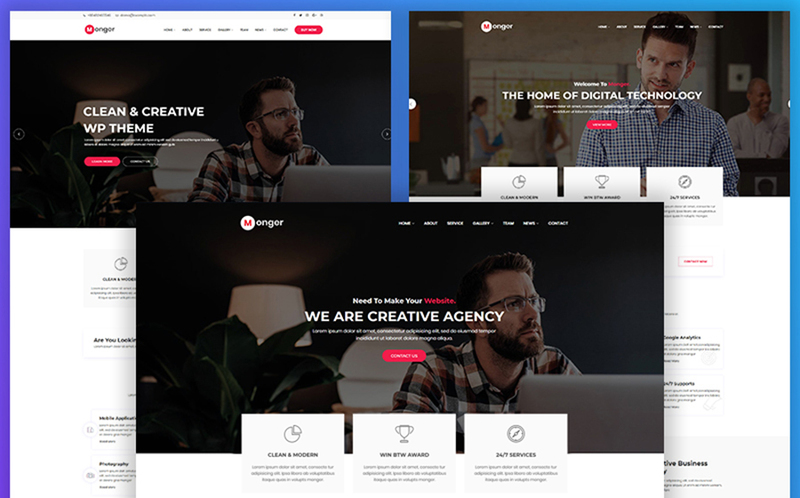 It features completely responsive design with a pixel-perfect imagery, smooth and intuitive navigation with a vertical Mega menu, and tons of visually appealing elements like Revolution slider and catchy background options. 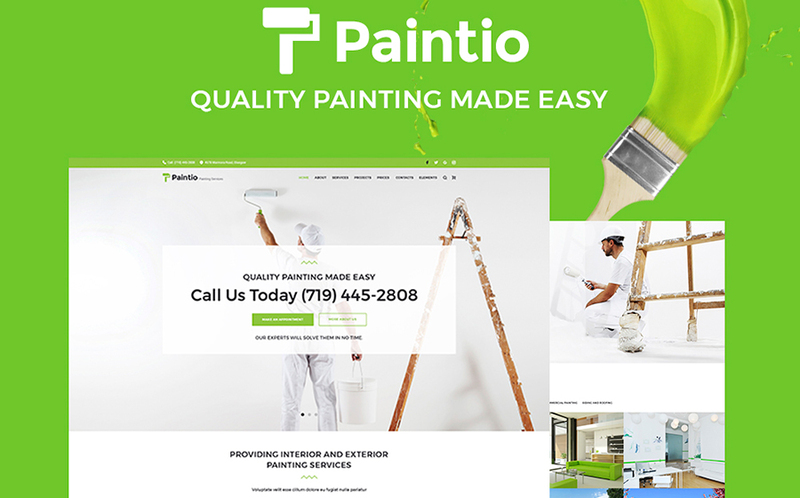 Paintio is a quality top-rated digital product developed especially for running an effective painting service on the web. The theme can be easily turned into a feature-rich e-commerce website with an advanced package of WooCommerce widgets including Ajax Filter. 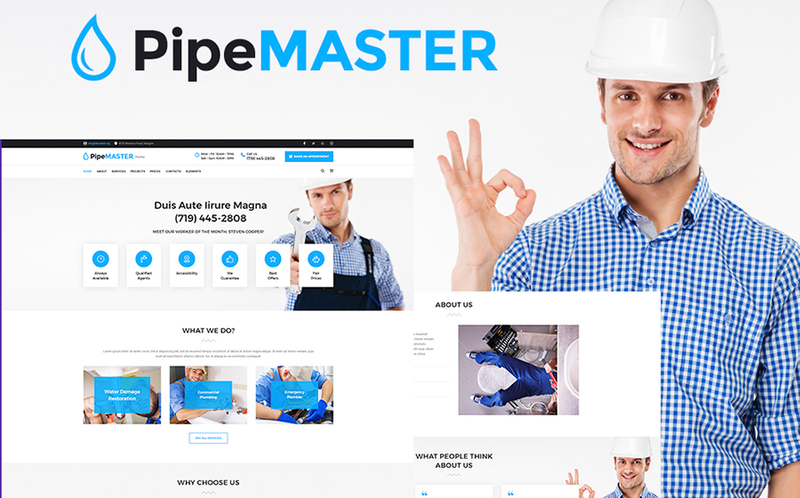 PipeMaster will help you elevate your online project success. Powered by the modern technologies like CSS3 and HTML5, the template boasts smart customization options and rich user interface kit. It’s a great website building solution for those who on a tight budget thanks to its cost-effectiveness. All these themes looks well-structured and professionally crafted with a user in mind. 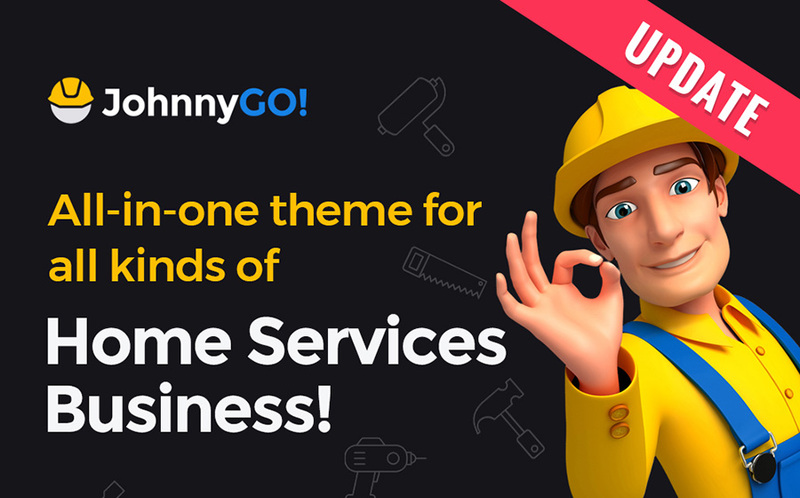 Having bought an affordable premium theme for your online maintenance service, you achieve a quality design, extensive functionality, high performance, and a package of top-notch plugins for nothing. You must admit that a custom design with search engine optimization will cost you much more than one of these bundled themes.